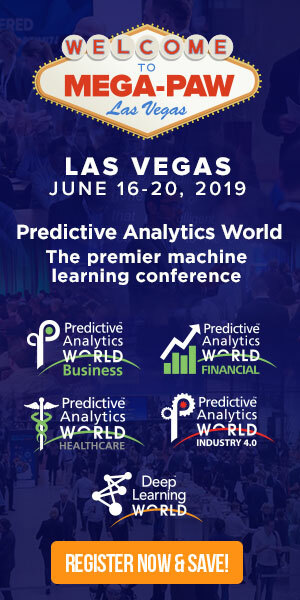 In anticipation of his upcoming conference presentation at Predictive Analytics World for Business Las Vegas, June 16-20, 2019, we asked Alwin Haensel, CEO & Founder at Haensel AMS, a few questions about their deployment of predictive analytics. Catch a glimpse of his presentation, Attribution – What Do We Want and What Can Be Done?, and see what’s in store at the PAW Business conference in Las Vegas. A: Our attribution system predicts user behavior and their responses to marketing campaigns thereby enabling our clients to optimize the performance of their marketing campaigns. A: The biggest value our clients’ marketing team receives from us is that the predictions we deliver are with actionable recommendations and insights, which are quiet effortlessly usable on a daily basis. A: Our internal KPI for success is ensuring that our clients are able to use our tools and insights on a daily basis. It is hard to claim ROI or increase in revenue which clients observe, just with our attribution system. Several factors contribute to the success of a company and tools enable them to perform better. When they work progressively with the insights, use them and actively request more features and other perspectives than we know we have done a good job. A: Perhaps it is not very surprising, however, one of the things we notice quite often is that real world data sets seem messy only when one cannot comprehend them. Once you deep dive into them, get to the bottom of it and model it, very often it makes a lot of sense and it is valuable. For instance, in no-thrill retail transaction data, you often find on a product level, positive price elasticities; meaning, higher the price, the more you sell. Of course, this is nonsense, and in fact using the data like this, kills any kind of price optimization. But when we dive into the individual user-product level and model the “needs” basis “when” people buy “what”, then the same data makes a lot of sense and becomes beneficial. (1) What is the foundation/ requirement for a good Attribution model. (2) What are the key elements and features of a successful Attribution system. (3) How best can one use the output of the Attribution models in practice and how can one validate it. 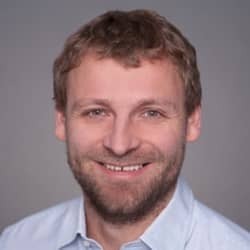 Don’t miss Alwin’s presentation, Attribution – What Do We Want and What Can Be Done?, at PAW Business on Tuesday, June 18, 2019 from 4:45 to 5:05 PM. Click here to register for attendance.